First off, a resounding thank you to all the service men and women out there who have (for decades) dedicated their time and lives to the protection of our nation! Both of my grandfathers are WWII Navy veterans. My maternal grandfather just turned 91 years old this month! 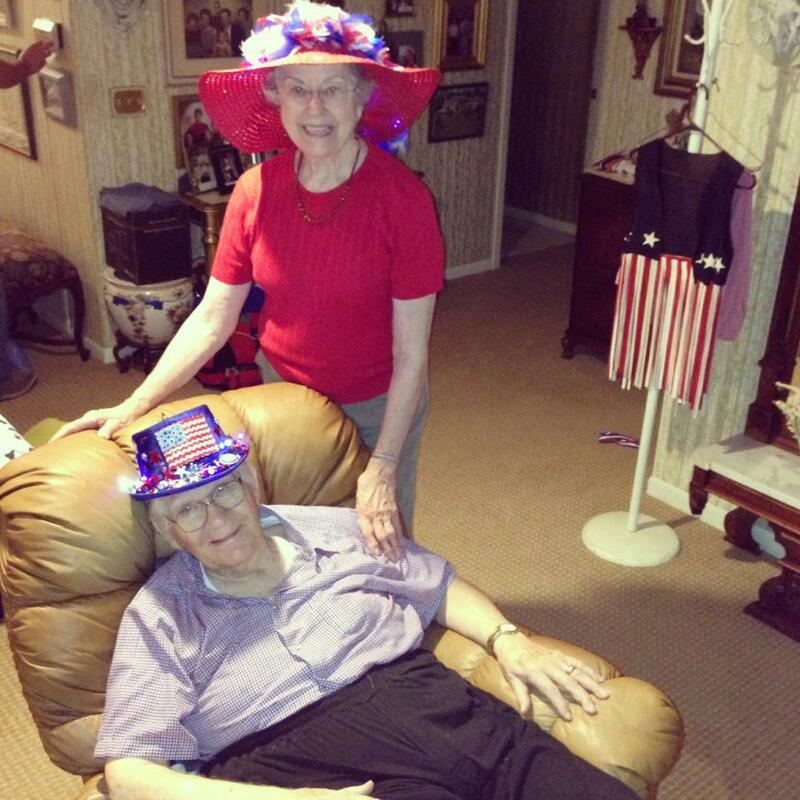 He and my grandmother on the 4th of July! Veterans Day is a wonderful beginning to the holiday season, and an excellent reminder of the people we should be thankful for, not just in a few weeks, but all year long! That being said, since this is a design-centric blog and all, part of my “love language” (if it must be so-stated) involves creating a delightful space to be shared by people I love, in order to celebrate the season, togetherness, and creativity. Not to mention my relentless attraction, dedication, and mild obsession with any and all “themes” that can be latched upon and extravagantly rendered with ornate decor. My place of work is currently in the midst of a United Way campaign to raise funds for the non-profit organizations they support, and part of that effort includes a “Craft Day.” Obvs, I jumped on board with this immediately, and have agreed to create a wreath and/or centerpiece to be auctioned in the next week! 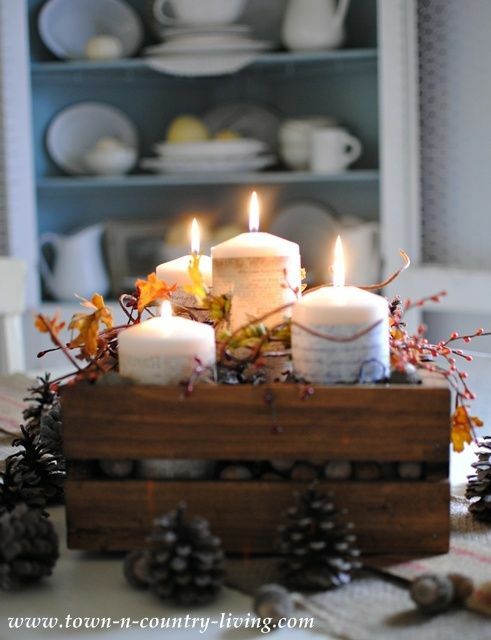 I thought I would share some of the inspiration I’ve been seeing, in hopes that more centerpieces will be DIY’d into existence this holiday season. 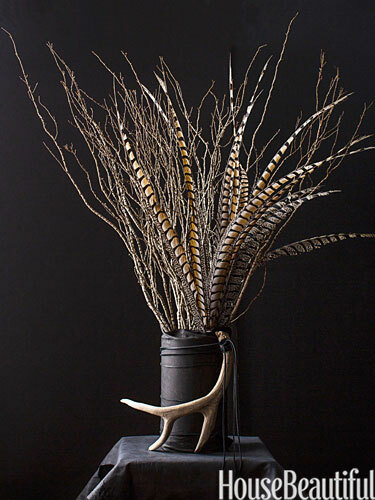 Wheat Sheaf – A definite conversation piece. 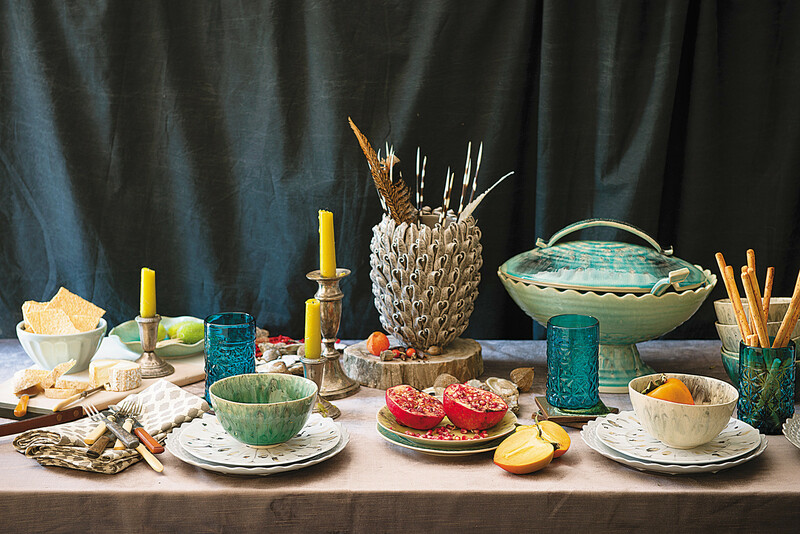 Anthropologie has some ideas, tips and non-traditional suggestions for creating a super hip and now Thanksgiving/Fall table setting. This HuffPo article sums up most of their suggestions, which includes things like: “experiment with color” and “make room for quirk.” (I guess that means having an extra (super unique) chair handy just in case Zoe Deschanel bounces into your festivities.) It also seems to mean, “purchase all these super quirky new place settings from us ASAP!” So, get to shoppin, those of you who’ve got money to burn! It’s adorbs, no doubt about it! For those of us who have a more modest budget, there are beautiful centerpieces (or wreaths) to be made with inexpensive items, or unique pieces we already own. (Old photographs, unique glassware or plates, vintage jewelry, as well as small pillows, or vintage cards would be great, amirite??) 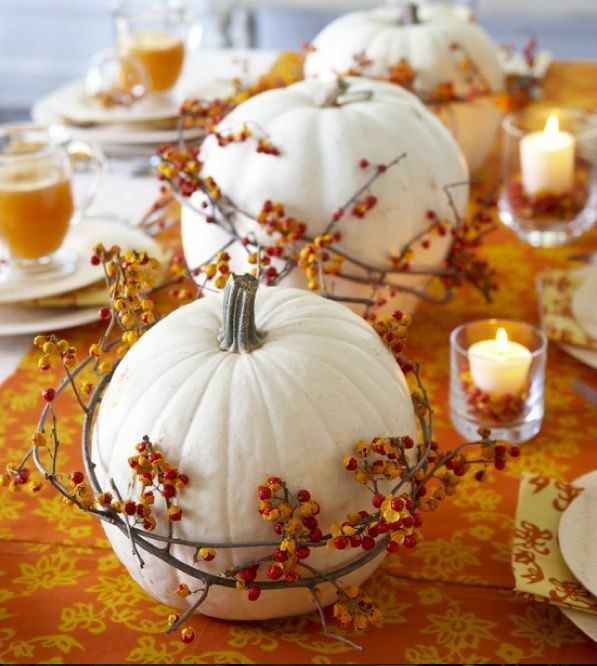 Obviously, Martha Stewart and Pinterest both provide tons of fantastic ideas and inspiration! 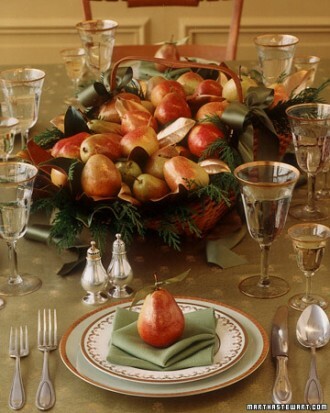 I particularly appreciate Martha’s use of fruits in some of her centerpieces, as they seem more simple, elegant, and a great way to incorporate healthier foods into the Thanksgiving eat-a-thon. 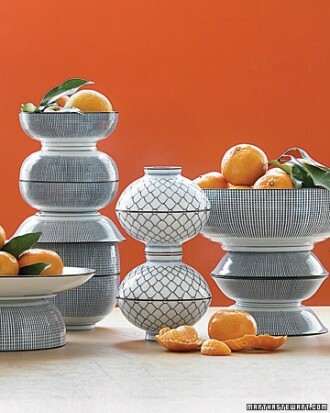 The super swank, vintage Chinese porcelain bowls may not be available to you (or anyone else except the 1%), however, you can easily display your pretty citrus in simple glassware for an equally attractive centerpiece! These pears are “gilded,” but would be just as attractive in their non-golden state, and if they’re plastic/wax/not real, could easily transform into a Christmas centerpiece, too! 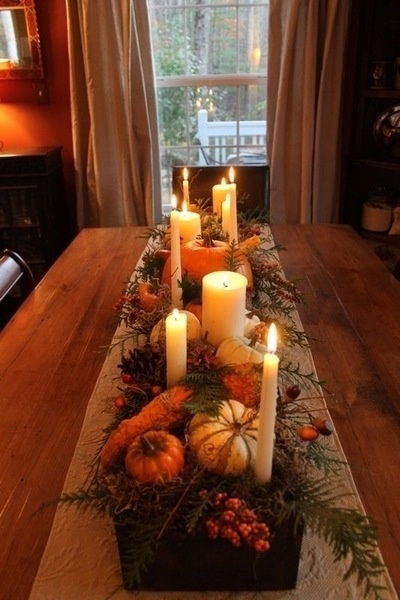 This is a massive centerpiece, however, it is gorgeous, and combines a lot of different elements (pumpkins, berries, greenery, and candles) without being excessive or looking messy. I love this tiered display! 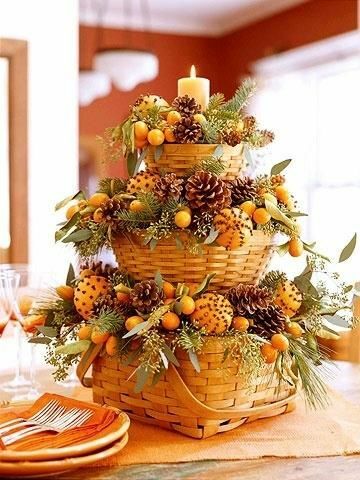 You can recreate this look with almost any combination of tiered cake stands, and Fall-themed combinations of your choice! I am all about the overwrought, but you do have to keep in mind that if you make an enormous centerpiece, either people will not be able to see each other/converse, or you’ll have to move it prior to the meal. Also, pine cones are the best! I don’t usually gravitate toward anything that can be described as “rustic,” but I like the simple elegance of this piece, and might consider putting it on the breakfast table, or in the kitchen. Love the idea of layered baskets! 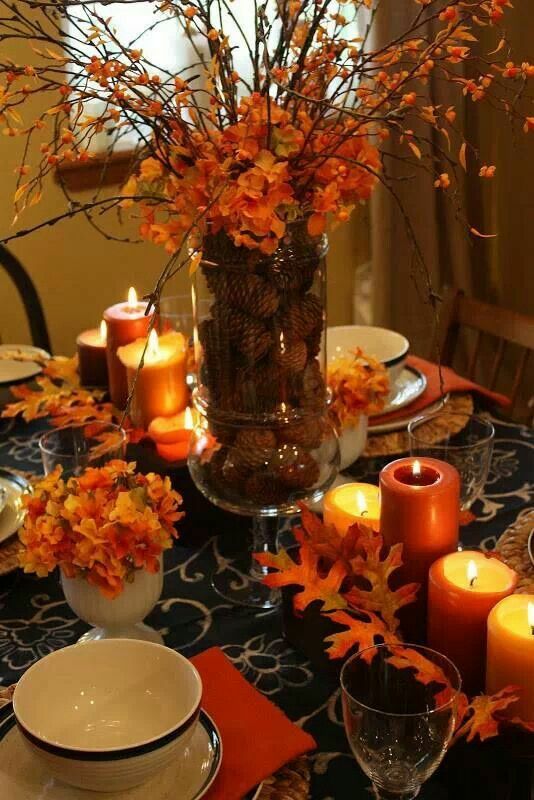 Matching or not, and as many tiers as you’d prefer, this is a great way to combine as many bright, Fall-themed items as you’d like, while also keeping your centerpiece move-able. 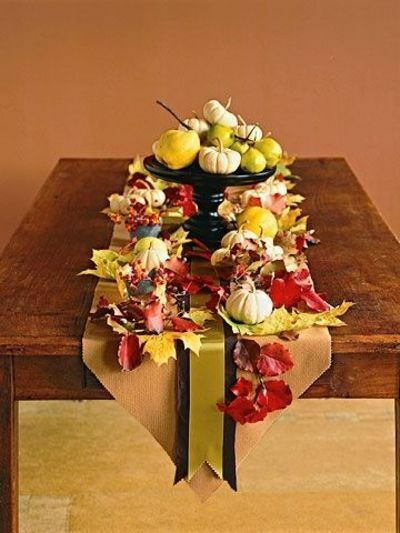 This runner really ties everything together, and allows the centerpiece to be the entire focus of the table! Another more “rustic” centerpiece, but it could be made smaller, or in different colors, making it a fabulous inspiration piece. 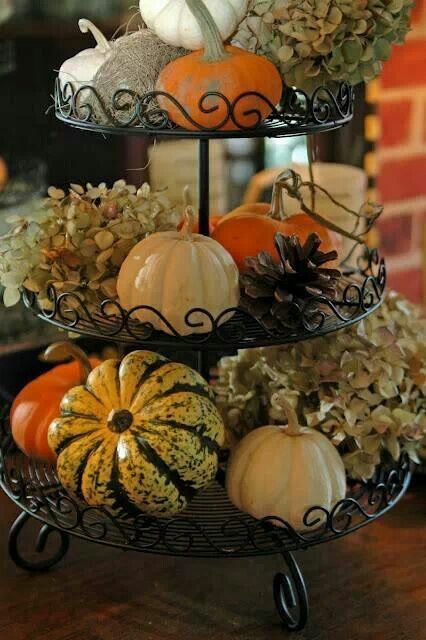 These are classic, simple Fall colors, and although I would definitely add some sparkle, this is lovely the way it is. 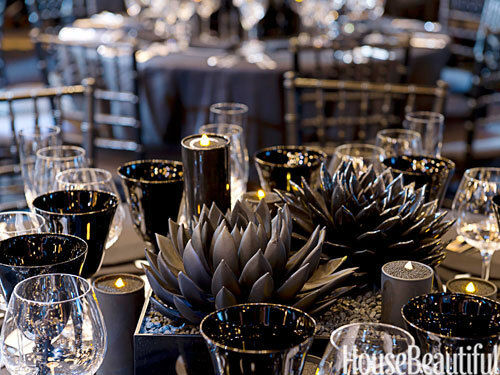 As you can tell, most of these centerpieces are meant to be arranged on a personal table and abandoned to praise and appreciation within a household. The centerpiece I create (this evening, I’ll post a finished picture tonight or tomorrow!) will have to be mobile, and therefore, somewhat less sprawling than some of these phenomenal works of DIY art. 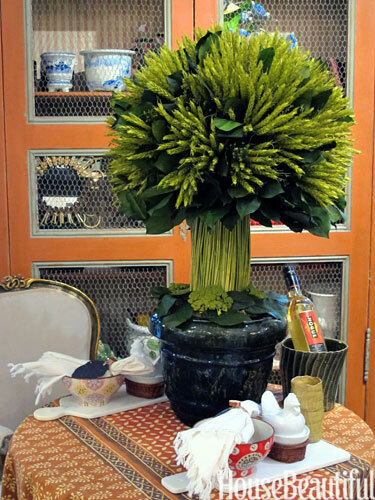 That does not mean, however, that a smaller centerpiece cannot be grand and lovely! As demonstrated above, any centerpiece that includes appealing elements, arranged nicely, and with a central theme, will be a delightful addition to your holiday table! 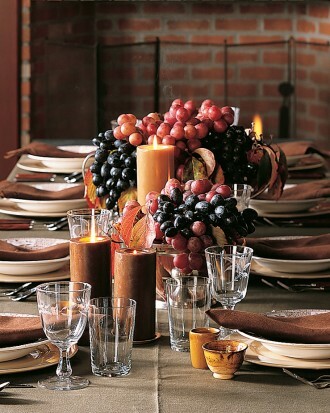 Do you plan on making a centerpiece and/or wreath this holiday season? Do you make one every year, or use a favorite annually? Any suggestions for additional Fall-themed items? Next Post Fall Centerpiece Follow Up!